Find here your Track My Ride coupons and deals. At Track My Ride we manufacture and provide real-time turn by turn GPS tracking hardware & services to Australian businesses and indivudals and have done so since 2011. We have customers of all sizes & Track My Ride has been designed to scale to meet their requirement. 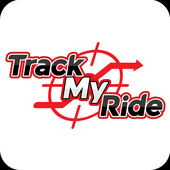 Install Track My Ride in under a minute! Just plug the included power cable into your car’s diagnostic port under the dash and you’re done. You can also hard wire TMR for enhanced security. All installation instructions & wiring are included in the box. It’s easy, we promise!